The favourite enclave of Westerners who live in Dubai, Jumeirah (a prime area) on Dubai’s western coast has been synonymous with “top-of-the-list.” Many other places in Dubai therefore like to add the word “Jumeirah”, to signify excellence and exclusivity. Although newer developments elsewhere now rival the district, it remains super-exclusive. Its pricey family-sized villas and luxury townhomes have the unique advantage of being near Jumeirah beach, letting the mostly Western residents enjoy fresh ocean air and blue skies and sea. Jumeirah also attracts a lot of tourists escaping their wintry climates back home. Many prestigious resort hotels, such as the Burj Al-Arab and the Jumeirah Beach Hotel, dot its long coastline. A popular water park, the Wild Wadi Water, has hot and cold pools and the biggest water slide in Asia. 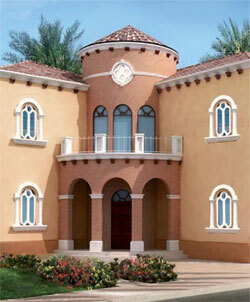 Hotels and expensive villas are the main residential buildings in As Wasl. It has exclusive schools, private medical centres, a high-end shopping centre with a supermarket, and it is close to other commercial areas as well. The nearby Souk Al Bahar has many restaurants and cafés. There is a park here—Safa Park, which has a lake, bike and walking trails, tennis courts, and a playground, children’s rides, and a video arcade. The neighbourhood of Al Safa is divided into Al Safa 1 and Al Safa 2. It has many upmarket properties, mainly large villas separated by green areas. Many homes here are rentals. There are also office buildings, schools, clinics, shopping centres, restaurants, bookstores, salons and other shops in the area. Al Safa 1 is bordered on one side by the large Safa Park, which has a lake, tennis and volleyball courts, rides for children, a playground, and biking trails. Several schools where English is the language of instruction, such as the Jumeirah English Speaking School, are in Al Safa. Al Manara, whose name means “The Beacon”, is an exclusive community under development along the Sheikh Zayed Road. Set on the waterfront, the neighbourhood has several luxurious villas, townhouses and a large office complex. Al Manara is part of the new central business district known as the Business Bay. Umm Suqeim, along the coastline of Jumeirah Beach, is divided into three affluent neighbourhoods and has several popular tourist attractions. One of these is Wild Wadi, an outdoor water park with a 20-foot waterfall, a wave pool, surfing machines, and one of the largest water slides in the world. There are also restaurants and gift shops in the water park. Umm Suqei has a large souk, the Madinat Jumeirah, and a supermarket. What has become Dubai’s most famous and iconic structure is also in Umm Suqeim—the beautiful, sail-shaped Burj Al Arab hotel just inside the shores of Jumeirah Beach. As a complement to it is the Jumeirah Beach Hotel nearby, shaped like a wave. Apart from the Burj Al Arab, there are no high buildings in Umm Suqeim. The district is very accessible and has shopping centres and supermarkets, shops and restaurants, hotels and clinics, and the beautiful stretch of Jumeirah Beach. There is also a pleasant green park facing the sea.